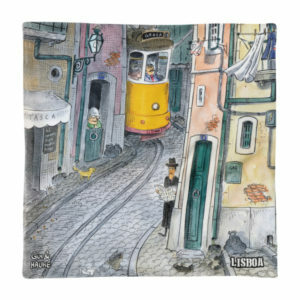 In Portuguese, the original painting is called “O Passeio com Fernando Pessoa”, or The ride with Fernando Pessoa in English. Fernando Pessoa was the most known Portuguese poet. He was born in Lisbon on July, 13th, 1888. 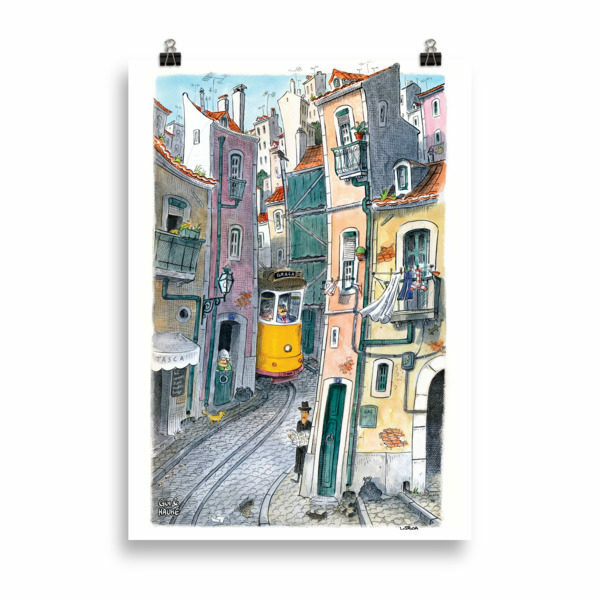 Take a closer look and try to find Fernando Pessoa in the painting! 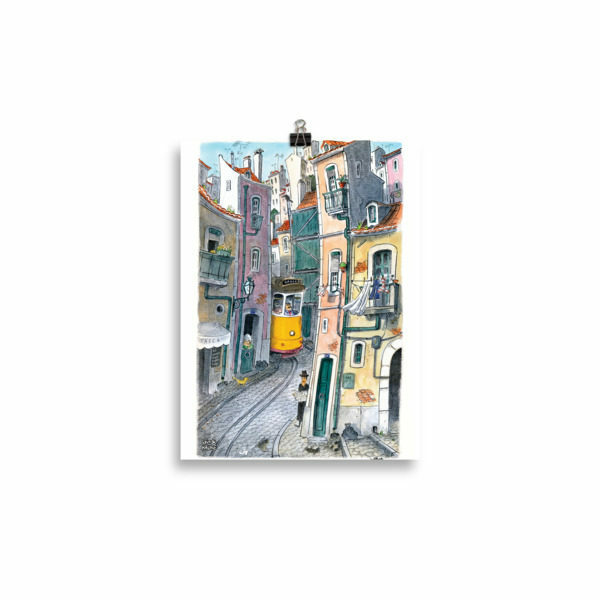 Take a piece of Lisbon with you with Hauke Vagt’s paintings! 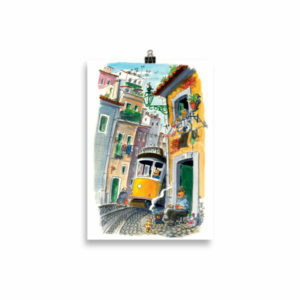 In Portuguese, the original painting is called “O Passeio de Fernando Pessoa”, or Fernando Pessoa’s ride in English. Fernando Pessoa was the most known Portuguese poet. He was born in Lisbon on July, 13th, 1888. 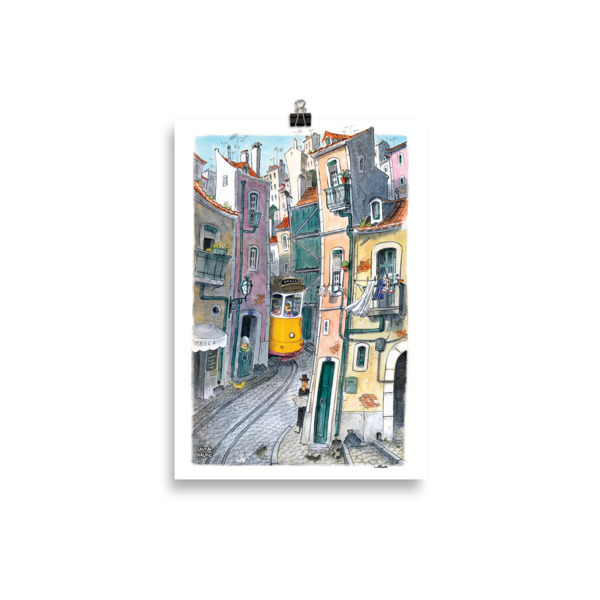 Take a closer look and try to find Fernando Pessoa in the painting! Definitely a statement in any room. 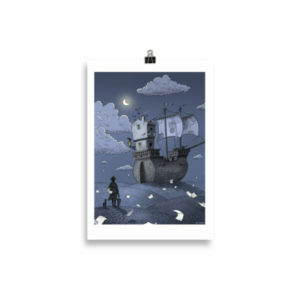 Matte, museum-quality posters are printed on durable, archival paper.